Did you ever wonder why the Jewish kids always did the best in high school? Did you also ever wonder how the Jewish people have not only survived but prospered and contributed untold good to humanity, despite centuries of prejudice, ostracism, and persecution? That’s pretty strong stuff to declare in a book that is, after all, about a people who are identified by their religion. I can’t imagine a Catholic author saying anything similar in a book about his confessional faith. But their ability to utter such words is, as it turns out, a logical conclusion to one of the big differences between Judaism and Catholicism – the infallible guy in Rome. No, that’s not the way it was for someone who grew up Catholic. But maybe this Jewish approach to things is one of the reasons that I enjoyed being the only goy in attendance at monthly business networking meetings at a temple a few communities distant. There’s another thing about the Jewish people that this book confirmed for me. I think I had it essentially right, but the book explains why. Before reading it, I had come to believe that one of the greatest sources of Jews’ strength and resiliency was that they remember who they are. I believed that their rituals, their traditions, their religious learning all undergird their collective identity. So there it is – early literacy and facility with storytelling that gave the Jewish kids a big leg up on their contemporaries once the secular schooling began. No wonder they had so many honor students. And there too is the collective memory of who we are and how we got here. No wonder that the Jewish community has staying power. That collective memory, those cultural touchstones and common points of reference, it seems to me, are fading away in modern America. It seems like there’s a lot of insubstantial fluff being taught today, mere stuff and nonsense. The Common Core, anyone? We need a real common core, a cultural canon that every American must experience. A return to close familiarity with the Bible and all it offers would be a giant step back towards the right path. And spare me, please, the knee-jerk, selective quoting of Tom Jefferson’s 1802 letter to the Danbury Baptists on the “wall of separation between church and state.” If you insist that the old plantation owner and slave driver’s private writings be the supreme law of the land, then bring in what he had to say about black people in “Notes on the State of Virginia.” You might have second thoughts. But back to Amos and Fania’s thoughts on the matter. They point out that there are “more Bible-wise atheists in Israel than anywhere else.” And that, too, is an advantage. Can’t agree more with that one. I’m glad I got this book. 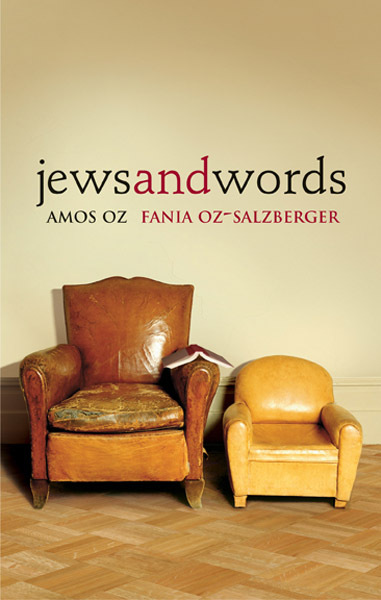 It also has a lot of things I never knew about the women of the Bible, about the resurrection of the Hebrew language, and about the delicious brand of humor that is distinctively Jewish. If you like to read, if you love history, if you want to know why things are as they are, and if you enjoy learning “the rest of the story,” I think you’ll like it too. This entry was posted on February 18, 2015 at 10:34 pm and is filed under Events and Society, Words. You can follow any responses to this entry through the RSS 2.0 feed. You can leave a response, or trackback from your own site.